Further consolidation is occurring in the Online Ordering space with TechCrunch reporting that Just Eat is paying £240M for Delivery Hero’s UK Operations and in a separate deal £66M for Canada’s SkipTheDishes. This comes after earlier this week it was reported that Delivery Hero was acquiring the remaining stake that it didn’t own in Foodpanda. Hungryhouse, which is owned by Delivery Hero, is being sold to Just Eat for £200 in cash and £40 million based on Hungryhouses performance between now and how when the deal finalises. 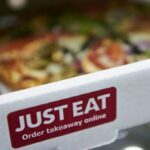 Just Eat expects hungryhouse to generate EBITDA (earnings before interest, tax, depreciation and amortisation) of between £12-15 million in 2016 excluding one-off costs for integration, which is expected to be around £1 million. Venture Beat is reporting that the HungryHouse deal will require Competition and Markets Authority before it can be completed. Venture Beat is also reporting that Hungryhouse had a £13.1 million pre-tax loss last year. SkipTheDishes is being acquired for £66.1 million, to assist in growing Just Eats dominant position in the Canadian market. Just Eat is already claims to be the number one ordering company in Canada and this deal will increase market share. SkipTheDishes expects revenue of $23.5CAD for year ending December 2016 and has 2,900 restaurants and 350,000 active customers. It would be interesting to know what David Buttress is referring to as channel shift, but we believe that it is the drive to get consumers to order direct from Just Eat, rather than to order direct from the Restaurant. We believe that this is a poor outcome for many Restaurants, because it increases the importance in differentiation by price, rather than quality of the food. Delivery Hero has 17 million active users and 271,000 restaurants in 27 countries. Just Eat has 16.6 million users and more than 63,900 take outs. Companies like Just Eat, Menulog, and Delivery Hero are the Version 1 Online Ordering companies, with Just Eat being founded in 2001 and Delivery Hero being founded in 2011. Their business model of clipping the ticket on the way through as they aggregate Restaurants into 1 place, either their websites or their mobile app provided Restaurants with an additional channel to sell their food, however they didn’t solve one of the biggest problems for Restaurants in the online ordering space, which is logistics. The actual delivery of the food is the bane of many Restaurant owners businesses, and most acknowledge that the delivery is an afterthought to the actual food preparation that they conduct. These companies have utilised the lack of marketing skills that many Restaurant Owners have to provide a defacto set and forget marketing platform for Restaurants – however, increasing commissions as the aggregators have struggled for profitability and the lack of providing an email address has meant that many Restaurants have been looking for a better value proposition. The second wave of competitors has seen run two very different business models either providing the restaurants with a platform to market themselves or taking care of the logistics issues with online orders. UberEats, Foodora and Deliveroo – What is next for them? The deliverers have fixed the logistics issue for the Restaurants. By using 3rd parties to deliver the food, they are able to remove a significant headache for the Restaurant Owners. The big question is how profitable is this business? Ubers lack of profits has been widely discussed and it will be an interesting story to see how at what point they will become profitable, if ever. It may be that there is just not enough value created for consumers to be able to charge a price that covers costs, let alone delivers a profit. This, of course, is only a short term problem. Drones and self driving vehicles are the next technologies that will fundamentally change the way that food is delivered to the home and the rapid advances this year, seen by Dominos and 7-Eleven, mean that full scale commercial uptake could be only a couple of years away. FROLO – the Free Restaurant OnLine Ordering service takes a different approach to the aggregators and deliverers. It provides the Restaurant with a platform to be able to receive orders from their own website. 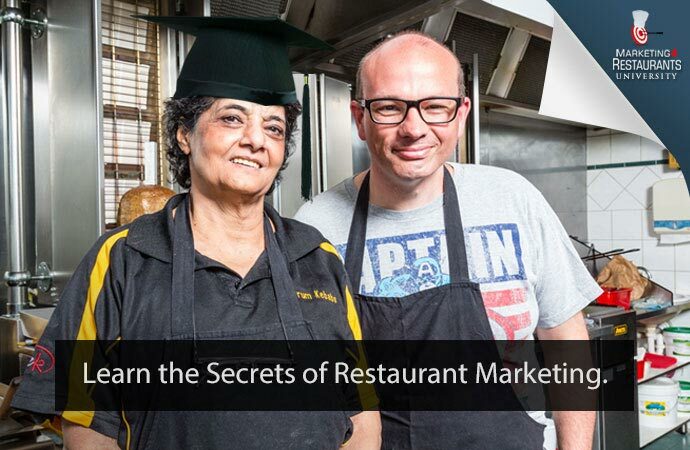 There are a range of educational services available as well to coach Restaurants to conduct their own marketing. The restaurants benefit from a rich Big Data solution that benchmarks performance and provides insights into best practices. Best of all it provides all of this with Zero cost. The basic package is totally free for Restaurants to use. Marketing4Restaurants receives a small commission from payment gateways for the online orders taken and some additional features, such as Docket printing are available for a small monthly fee. The consolidation in the market raises further questions about the ongoing viability for Delivery Hero in Australia. If it were possible, we believe that Menulog would attempt to acquire them. They face fierce competition from UberEats, Deliveroo and Foodora in the capital cities, but the penetration of these companies outside the major cities is anaemic at best. We believe therefore that if a sale cannot be arranged, Delivery Hero may close down in Australia. For our discussions with our Restaurants, it appears that very few customers use the Delivery Hero app at all. STOP PRESS 22 Dec 2016 – Today it was announced that Delivery Hero is exiting the Australian Market. Just Eat CMA investigation into it's acquisition of Hungryhouse. Eatability, Yelp and other review websites, the good, the bad and the fake.